Essential kitchen gadgets plus a recipe from Honest Burger! We show you everything you need to create the ultimate burger, from the best kitchen gadgets to the finest cuts of meat and everything inbetween. 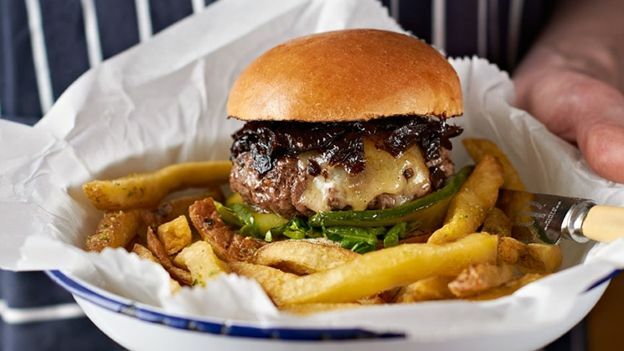 If you're looking for inspiration for this weekend's culinary project, check out the delicious recipe from Tom Barton, top dog at London's finest flippers Honest Burger. Hamburgers, sliders, patties, delcious meat discs – nothing hits the spot like a top quality burger. The American staple has gone from fast-food snack to gourmet delight in the past few years, so what better time to whip up your own creation at home? Building the ultimate burger is serious business, so don't get caught out with sub-standard gear. Each stage of the burgercreation process requires epic attention to detail. Whether it's for creating the perfect mince from juicy steak or getting the perfect even cook with that delciious rare centre, this is the gear you need. Choose from the three attachments for the perfect texture, then grind up to 2 kilos of fresh meat in little under a minute. Charcoal gives an extra flavour, along with those indistinguishable char marks on the top and bottom. Garden too small/non existent and can't fit in the Weber BBQ? This griddle pan will add authentic taste and classic style right in your kitchen. Oozing industrial design, this is the perfect way to ensure your specially prepared patties are the shame shape and size every time. There's nothing worse than poisoning your guests, so make sure everything is cooked to perfection. Stick the fork into your burger and it'll alert as to how it's cooked. A good starting point due to the high fat content (improves taste) and well rounded flavour. Add in some Sirloin for more oomph. Rich in flavour, with a good fat content and great marbling, normally used for strews but adds an extra punch to burgers. Looking for something a bit special? Reared in Australia, this cut is brimming with flavour and the high marble content gives amazing, melt-in-the-mouth texture. "Fat is the key here. You want well sourced, well aged beef with a decent fat content, around 25%. I prefer a coarse mince to keep some texture." "Weigh out around 150g beef and slap it around in your hands to shape it into a nice smooth ball. Must be smooth otherwise you'll get cracks and the patty can overcook." "Get your heaviest griddle or frying pan and crank up the heat, open the windows and prepare for some smoke. You want to get a deep sear so a high heat is essential. Carefully press the burger to the pan and season generously with salt and pepper. Flip after 2mins for medium rare or 2.5mins for medium and then season the cooked side. TIP: a paint scraper is the best flipping tool as you don't want to loose the sear. Put into 180 degree oven for 2mins and then leave the burger to rest out of the pan for 2 minutes." "For me crispy bacon, mild cheddar, sweet onion relish and dill pickles is the way forward (basically an Honest Burger...)"